With the old compose format, there is a section to edit the subject line. However, I'm not seeing this with the new compose window - am I missing something? Click the down arrow next to the reply arrow (upper left corner). That'll give you the option to (additionally) Forward, Reply all (not pictured), or Edit subject. How to edit Subject line in mail? Can subject line automatically always appear? 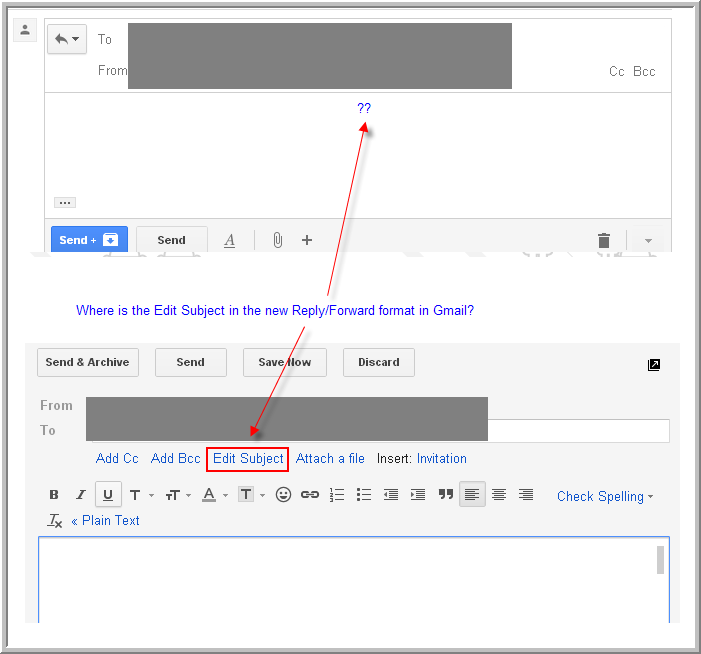 How to control where Gmail new compose window is opening?